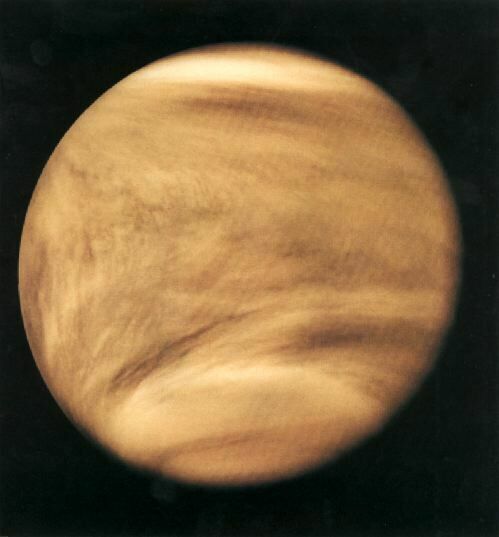 Explanation: The forecast for Venus is cloudy, cloudy, cloudy. Although similar to the Earth in size and mass, Venus' slightly closer orbit to the Sun create for it a much thicker atmosphere and a much hotter surface. 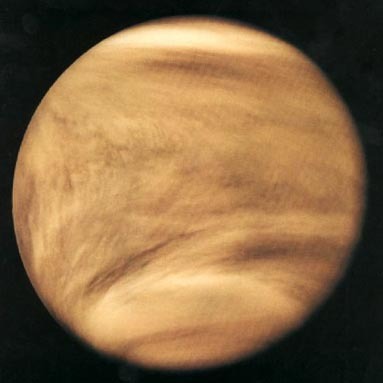 The thick atmosphere was photographed above in ultraviolet light in 1979 by the Pioneer Venus Orbiter. Whether or not Venus has a moon was the center of a great controversy in the 1700s and 1800s. Today we know Venus has no natural satellites. Venus's extremely uncomfortable climate was likely caused by a runaway greenhouse effect. Could Earth ever undergo runaway greenhouse heating like Venus?